CAPA News & Views 2017: Jan.-June , Victoria Craw with wires, Feb. 16, 2017. A woman who was arrested over the death of Kim Jong-un’s brother reportedly said she was asked to spray him as part of a “prank.” The woman carrying a Vietnamese passport was arrested overnight following the death of Kim Jong-nam in Malaysia. Malaysian police confirmed Doan Thi Huon, 28, was arrested after being positively identified from CCTV footage and that she was alone at the time of the arrest. According to a reporter from Hong Kong’s Oriental Daily newspaper, the woman told police she was urged on to carry out the prank by four men. She then said the men ordered her to spray the liquid on Kim Jong-nam while her companion covered his face with a cloth. But she claims she could not later find the men or her companion and returned to the airport on Wednesday, where she was arrested, Fairfax reported. Malaysian police are yet to comment on the report. The woman’s arrest comes as North Korea objected to an autopsy being performed on the body of the slain man. Police said they are looking for a “few” foreign suspects in addition to the Vietnamese woman already being questioned. The half-brother to North Korean leader Kim Jong-un died after reportedly being targeted with a chemical spray in the airport at Selangor, near Kuala Lumpur. Details about the killing remain unclear but South Korea’s spy agency said it was believed to be a North Korean operation due to Kim Jong-un’s “paranoia” about his brother. Malaysian investigators are scouring surveillance video for clues as to what happened in the extraordinary death that comes after a purge of many top-level officials in South Korea, including Kim Jong-un’s uncle, Jang Song Thaek, who was killed in 2013. Washington Decoded, Looking for Faust in Texas, John McAdams Feb. 11, 2017. Book review: “Faustian Bargains: Lyndon Johnson and Mac Wallace in the Robber Baron Culture of Texas” by Joan Mellen (Bloomsbury. 359 pp. $37). The “Faustian bargains” in the title of Mellen’s latest book are the pacts she believes three Texans implicitly made with Lyndon Johnson to serve Johnson’s corrupt purposes in return for his sponsorship and patronage. But unlike Goethe’s Faust, there was no redemption at the end for any of them. Assassination Archives and Record Center (AARC), Publication Spotlight: Essential New Works by Dr. John M. Newman, Alan Dale, Feb. 6, 2017. Important new works by Dr. John Newman: Where Angels Tread Lightly; Countdown To Darkness: The Assassination of President Kennedy, Volume II; and JFK and Vietnam, Second Edition. 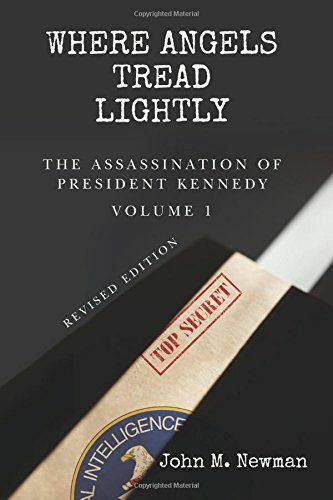 The first in a series of volumes on the JFK assassination, Where Angels Tread Lightly: The Assassination of President Kennedy, is a unique scholarly examination of historical episodes that go back to WWII, the Office of Strategic Services, and the early evolution of the CIA — up to and beyond Castro’s assumption of power in Cuba in 1959. This book is a groundbreaking investigation of America’s failure in Cuba that uncovers the CIA’s role in Castro’s rise to power and their ensuing efforts to destroy him. This work retraces the paths taken by many of the key players who became entangled in the CIA’s plots to overthrow Castro and the development of the myth that Castro was responsible for the assassination of President Kennedy. With rigorous scholarship and the brilliant insight of a trained textual records interpreter and document forensic specialist, Dr. John M. Newman sheds new light on the multiple identities played by individual CIA officers. Where Angels Tread Lightly deciphers the people and operations that belong to a large number of CIA cryptonyms and pseudonyms that have remained, until now, unsolved. The second volume in a series on the assassination of President Kennedy, “Countdown to Darkness,” describes events during a dangerous quickening of the Cold War. The book’s first chapter contains new revelations about how Oswald was a witting false defector to the USSR in a CIA plan to surface a KGB mole in the CIA. The race for a long-range delivery system for nuclear weapons came to its final, unexpected, and unstable conclusion — the “missile gap” favored the United States, not the Soviet Union. The European colonial empires were collapsing in Southeast Asia, the Middle East, and Africa, spawning Cold War hot spots, where Moscow and Washington rushed in to fill the void. The inevitable consequence of Castro’s revolution played itself out as communism established itself — armed to the teeth by the Soviet Bloc by early 1961 — a few miles from the American underbelly. This book reveals how deeply the Eisenhower Administration was in denial about the entrenched Castro police state, the complete penetration of all anti-Castro groups by Cuban intelligence, and the convulsive spectacle of the exiled Cuban leaders. The publication and suppression of JFK and Vietnam was a watershed event in 20th Century American history. The book revealed, for the first time, how President Kennedy’s opposition to sending U.S. combat forces to Vietnam led those favoring intervention to concoct a false story of battlefield success to prevent a complete withdrawal from Vietnam. The book detailed the intense struggle that erupted in the administration over the president’s decision to withdraw from Vietnam in the fall of 1963. JFK and Vietnam exposed how President Johnson ordered key changes be made to a National Security Action Memorandum (NSAM 273) two days after the assassination, opening the door to the direct use of conventional American military forces in Vietnam. In 1992, JFK and Vietnam received high praise from Publisher’s Weekly and Kirkus Reviews. It was favorably reviewed by Arthur Schlesinger, Jr. in the New York Times Book Review. Elsewhere the book caused a media firestorm with proponents of conflicting views making absolute declarations in opposition to Dr. Newman’s basic thesis: Kennedy was opposed to U.S. intervention in Vietnam and was withdrawing the U.S. advisors at the time of his assassination in November 1963. The National Security Agency attempted, unsuccessfully, to block the publication of JFK and Vietnam. Shortly after publication, the publisher, Warner Books, suppressed the book. Six months later, the Galbraith family intervened with Time Warner Inc., and the copyrights were yielded back to the author. 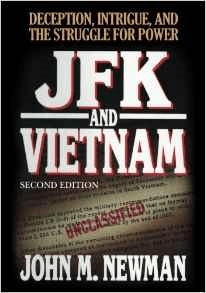 JFK and Vietnam, second edition (2017), represents the continuation of Dr. John M. Newman’s research, progress in his understanding and perceptions, and describes the fascinating sequence of events that unfolded following publication in 1992, including the consequential relationship that was formed between Dr. Newman and former Secretary of Defense Robert S. McNamara following the book’s debut. 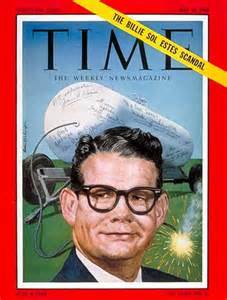 That relationship led McNamara, after 25 years of silence, to publish his memoir on the Vietnam War, In Retrospect. In its original form, JFK and Vietnam was a landmark work that illuminated the false calculations, mistakes, manipulations, deceptions and intrigue which led to the Vietnam War. A quarter century later, JFK and Vietnam, second edition, expands upon and adds to what so powerfully defined its original impact. “This great book brought to light the dark mystery of John F. Kennedy’s decision to withdraw from Vietnam. Celebrated on first publication, JFK and Vietnam has been confirmed by many new sources, witnesses, papers and tapes. This new edition is a triumph of history over evasion.” — James K. Galbraith, The University of Texas at Austin. New York Post, Manhattan DA’s office probing death of reporter with possible JFK ties, Susan Edelman, Jan. 29, 2017. The Manhattan District Attorney’s office is looking into the mysterious death 51 years ago of newspaper writer and “What’s My Line?” star Dorothy Kilgallen, who was investigating the JFK assassination, the Post has learned. The stunning development comes after a new book, The Reporter who Knew Too Much, suggests Kilgallen was murdered to shut down her relentless pursuit of a Mafia don linked to JFK and Lee Harvey Oswald. Weeks before her death, Shaw learned, Kilgallen bought a gun for self-protection and planned a second trip to New Orleans to investigate Mafia don Carlos Marcello. “If the wrong people knew what I know about the JFK assassination, it would cost me my life,” she confided to hairdresser Charles Simpson, one of several witnesses who gave videotaped interviews unearthed by Shaw. 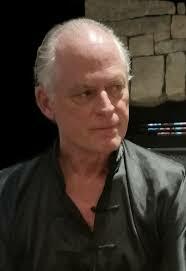 JFKFacts.org, Secret JFK document #3: the DRE/AMSPELL file, Jefferson Morley (shown in photo), Jan. 27, 2017. Among the 1,100 secret CIA documents related to the assassination of President John F. Kennedy is an 86-page file of the anti-Castro group, Directorio Revolucionario Estudantil (DRE). The group, commonly known as the Cuban Student Directorate, had a curious double role in the JFK assassination story – a role that the CIA chose to conceal from both the Warren Commission in 1964 and the House Selection Committee on Assassinations (HSCA) in the late 1970s. The deception was not minor: CIA-funded DRE was the first organization to call public attention to accused assassin Lee Oswald–before JFK was killed. What the CIA hid from JFK investigators was its secret financial relationship with the front group used to publicize Oswald’s pro-Castro activities. The DRE was an instrument of the CIA. Known inside the agency by the code name AMSPELL, the group’s leaders met regularly in 1963 with George Joannides, the chief of psychological warfare operations in Miami. According to other CIA records, Joannides gave the group $51,000 a month in 1963, the equivalent of $150,000 today. Courthouse News via AARC, Center Seeks CIA Documents on Plots to Kill Hitler, Castro, Eva Fedderly, Jan. 27, 2017. A research foundation dedicated to unearthing information about political assassinations sued the Central Intelligence Agency for not providing documents related to plots to assassinate Adolph Hitler and Fidel Castro. The Assassination Archives and Research Center is a privately funded, Maryland-based organization founded in 1984 “to provide a permanent organization which would acquire, preserve, and disseminate information on political assassinations,” according to the center’s website. Daniel Alcorn, the center’s attorney, told Courthouse News that the case stems from a joint chiefs of staff document that the organization acquired. Alcorn said the document contained an intriguing reference to the CIA basing a plot to kill Fidel Castro in 1963 on an earlier plot to kill Adolph Hitler crafted by the Office of Strategic Services during World War II. “This was new information to us when we saw it,” Alcorn said. Frustrated, the center sued the agency in the federal court in Washington, D.C. on Jan. 25. It contends the CIA is obligated to provide it with the documents it requested, and by not doing so, it is violating the FOIA. In substance, what Milteer says is that the President is going to be killed. He predicts the exact manner in which the President is going to be killed. He says it is going to be from an office building with a high-powered rifle that can be disassembled, and that shortly after the assassination the police are going to arrest someone to allay public concern. Most people have likely not heard of Don Adams (No, not the late comedian and actor who played Maxwell Smart on Get Smart, but he was in a similar line of work as Smart.). 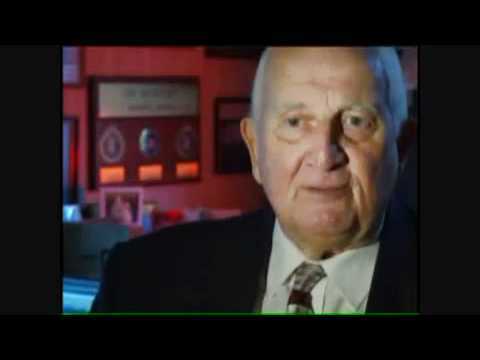 Adams was the FBI agent first sent to investigate Milteer four days after the recorded assassination prediction, which had been immediately passed on to the FBI. The public should pay heed to it. It is a rare thing, indeed, when a government participant in a cover-up, particularly one from the FBI, breaks ranks with his colleagues and tells the world, from his own first-hand knowledge, that a cover-up has taken place. JFKFacts.org, What JFK records are most pertinent to the case? Jefferson Morley, Jan. 25, 2017. The best summary of the still-secret JFK records comes from Rex Bradford, president of the Mary Ferrell Foundation site. Read more here. The president can have a lot of influence over JFK records. Read about that here. 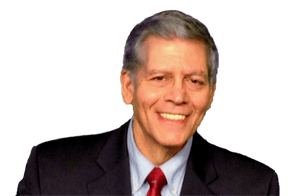 On-Target with Larry Sparano, 2017: Opening the Files, The Year We Learn the Truth about the Kennedy Assassinations? Host Larry Sparano (shown in file photo) interviews Cyril H. Wecht, M.D., J.D. (video interview, 24:45 min. ), Jan. 21, 2017. 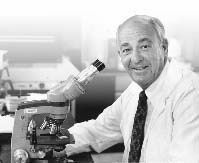 Forensic pathologist Dr. Cyril Wecht has never believed the official government “conclusions” concerning the deaths of JFK, RFK, and Dr. Martin Luther King. He is now leading an effort to make sure the U.S. government releases long-awaited records that can provide vital information regarding who and what was behind those assassinations. 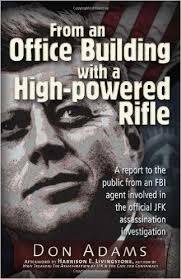 See also, On-Target with Larry Sparano, New Push for Release of JFK Assassination Records (Video Interview), Host Larry Sparano interviews Dr. Cyril H. Wecht, Nov. 21, 2016. It’s been 53 years since the nation’s 35th president was gunned down in broad daylight in Dallas. And during those years a curtain of darkness has hidden information and records which could reveal the full story of what happened on that tragic day in November. Listen to Dr. Cyril Wecht (shown in his lab) explain how he and others hope to pierce a government-imposed black-out on the murder of John F. Kennedy – and why finding the truth still matters, more than five decades later. Independent, Pablo Larraín’s ‘Jackie’: She is a big part of the reason why a half century on we are still talking about JFK and why films are still being made about him, Youssef El-Gingihy, Jan. 20, 2017. ‘Jackie’, starring Natalie Portman as Jackie Kennedy, has a timely release on the day of Trump’s inauguration and with 2017 being the centenary of JFK’s birth and the release of the rest of the assassination files, it couldn’t be more topical. The timing of Pablo Larraín’s Jackie is propitious. Not only was the film released on the same day as the Trump inauguration – an ominous portent for the incoming President – but it is shaping up to be a Kennedy year. 2017 is the centenary of JFK’s birth and October marks the date for the release of the remaining assassination files although the tantalizing possibility of a smoking gun appears to be slim to none. New York Review of Books, Was Snowden a Russian Agent? Charlie Savage, Jan. 19, 2017 (Feb. 9, 2017 print issue). One evening in the fall of 2015, the writer Edward Jay Epstein arranged to have dinner at an Italian restaurant on the Upper East Side with the director Oliver Stone. At the time, Stone was completing Snowden, an admiring biopic about the former intelligence contractor Edward J. Snowden, who disclosed a vast trove of classified documents about National Security Agency surveillance programs to journalists in June 2013 and had since been living as a fugitive in Russia. Epstein was working on a book about the same topic, which has now been published under the title How America Lost Its Secrets: Edward Snowden, the Man and the Theft. Stone waded into those same murky waters with his 1991 movie JFK, which used a fictionalized version of Garrison’s investigation as a means to explore the theory that a right-wing conspiracy, spanning the CIA and the military-industrial complex, had been responsible for Kennedy’s death. Now, years later, the two men once again found themselves eying each other as they circled the Snowden saga…..It would be eye-glazing to compile a comprehensive list of Epstein’s doubtful “facts,” but one more is worth scrutinizing because Epstein hangs such heavy weight on it: the allegation that Snowden brought files with him to Russia, despite his denials. JFKCountercoup, Honor MLK by Releasing the Records on his Assassination, William Kelly, Jan. 15, 2017. We honor MLK on Martin Luther King Day — Monday, January 16 — by taking a day off from work and making it a day of public service — volunteering to do an unpleasant task that will make for a better world. But this year, 2017, is special because of the expected release of the remaining sealed government records on the assassination of President Kennedy. Among those records are the files of the House Select Committee on Assassinations that also investigated the assassination of Martin Luther King, Jr. — documents that remain sealed. WhoWhatWhy, Ruminations on the Greatest Mystery Never Solved, WhoWhatWhy Team, Jan. 14, 2017. Getting to the Truth Is Really Difficult: JFK Assassination Research Challenges. More than 50 years after the assassination of JFK, questions of who, what, and why remain unresolved. Despite valiant efforts by a dedicated research community, the obstacles remain formidable. Middle East Eye, From war zones to museum: The legacy of Serena Shim, Mark Mondalek (shown in a file photo below), Jan. 13, 2017. Artifacts from the celebrated career of journalist and foreign correspondent Serena Shim were recently put on display at the Arab American National Museum (AANM), a Smithsonian Institution affiliate, in Dearborn, Michigan. Shim, who was originally from Detroit, spent her professional career overseas, broadcasting from such places as Iraq, Syria, Turkey and Ukraine. 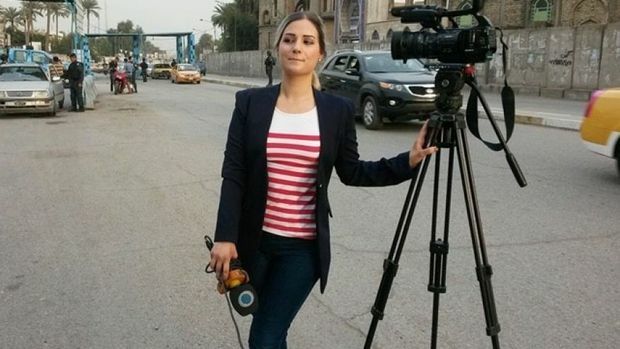 Shim died in October 2014 while covering a siege by IS militants on the Syrian-Kurdish border city of Kobani for Iran’s PressTV, after a car crash in southeastern Turkey. She was 29 years old. Shim grew up in the Detroit suburbs of Dearborn and Livonia. After high school, she moved to Lebanon, settling near south Beirut in her father’s hometown of Bourj el-Barajneh. She was in Syria when the peaceful uprising began in 2011, and later went undercover inside Turkey to confront the state’s complicity in the conflict. She found herself in uncharted territory as a correspondent just six days into her new assignment after discovering that the Turkish National Intelligence Organisation (MIT) was actively inquiring about her location. Shim’s employer advised her to go public immediately and disclose the entire disconcerting affair during a live telecast. Evoking her past reports as evidence, she ruminated on what the MIT’s interest in her might have been, citing her firsthand reportage on IS and al-Qaeda-affiliated militant groups crossing freely into Syria from the Turkish side of the Bab al-Hawa border via “World Food Organisation trucks” and other non-governmental organisation covers. Two days later, the rental car that Shim was riding in was involved in a car crash in Turkey’s Sanliurfa province. Her family found the circumstances of the accident suspicious and alleged foul play by Turkish authorities. She died allegedly of heart failure a half-hour after arriving at the hospital. WhoWhatWhy, The Death of a Journalist Who Knew Too Much, Jeff Schechtman, Jan. 13, 2017. Was Dorothy Kilgallen Murdered? What Was She About to Learn? 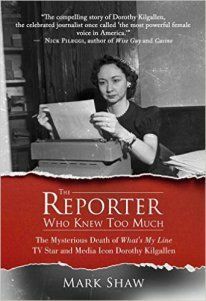 Dorothy Kilgallen was ahead of her time as she straddled gossip, politics and real journalism. When she got too deep into the JFK assassination, she was found dead. JFKFacts.org, Literary (CIA) agents at work, Jefferson Morley, Jan. 5, 2017. 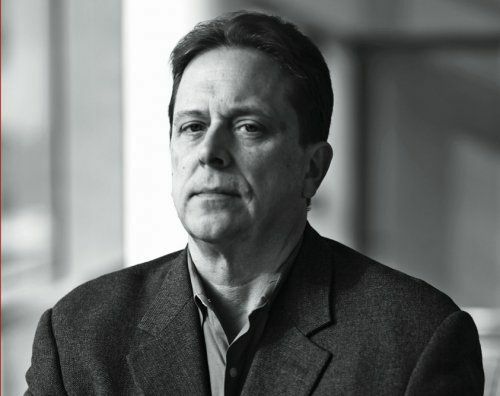 In Literary Agents: Rethinking the legacy of writers who worked with the CIA, Patrick Iber of the New Republic delves into the role of the CIA in the culture Cold War. He doesn’t specifically mention the role of Cord Meyer and James Angleton but they were probably the two CIA officials most responsible for CIA cultural funding between 1954 and 1967, Iber captures what was most problematic about the CIA’s role, something I will touch on in my forthcoming Angleton biography. New Republic, Literary Agents: Rethinking the legacy of writers who worked with the CIA, Patrick Iber, Jan. 3, 2017. 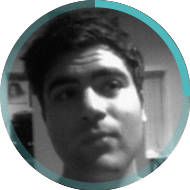 Essay on New Book: Finks: How the C.I.A. Tricked the World’s Best Writers by Joel Whitney (OR Books, January 10, 2017). The struggle for academic patronage and the strained conditions of nearly all media properties have led to fewer jobs and fewer venues for substantial writing; the possibility of leading a public-facing life of the mind now seems vanishingly small, which only heightens nostalgia for the golden age of the 1950s. Yet the shadow of the CIA lurks behind the achievements of that time. The free play of ideas—the very thing that was supposed to distinguish the United States from the Soviet Union in the first place—turned out to be, at least in part, a carefully constructed illusion. What if the prominence of midcentury intellectuals, the sense that they were engaged in important political and artistic projects, is inseparable from the fact that they were useful to America’s Cold War empire? Through such relationships, the CIA wielded undue influence on the literary landscape. Whitney makes a compelling case, for instance, that the CIA reinforced the literary prestige of white men in American letters. If other nations believed that race relations in America were poor, the agency feared, it would damage our ability to lead the “free” world. So the CIA sponsored African American voices only if their critique of U.S. society wasn’t too sweeping. And even writers it did support, like Richard Wright, found that the CIA was spying on them at the same time. “I lift my hand to fight communism,” Wright wrote, “and I find that the hand of the Western world is sticking knives into my back.” Ex-Communist Ralph Ellison, author of Invisible Man, attended some CCF events; he was the only black writer featured in The Paris Review’s “Art of Fiction” series until the 1980s. The evidence that investigative journalists like Whitney and [Frances] Saunders have amassed should leave no doubt that the so-called “free market of ideas,” which the CIA claimed to be protecting, was distorted and undermined by the agency’s own activities. The CIA’s cultural apparatus gave intellectuals a way to advance professionally, as long as they rejected radicalism and embraced the necessity of U.S. power in the Cold War. The CIA did not create those opinions, but it amplified them and helped give its warriors the sense of being engaged in a world-historic struggle.